This morning I received an email about hanging a heavy piece of Art on a sheetrock wall. Thought I would start a thread about Art Handling. To start, put together a list of Art Handling Resources. Future posts will fill in the details of each area of Art Handling. 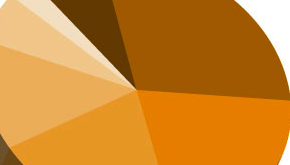 Just posted the 2012 Museum Exhibition Costs Survey. Please help the museum field with providing information of recent exhibition costs for Art Museums, History Museums, Science Centers, Children's Museums, Natural History Museums. The results will be posted here on Museum Planner. 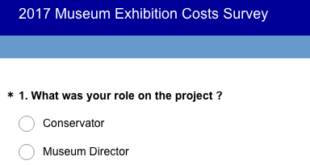 It's that time again, the 2012 Museum Exhibition Costs Survey. Before finalizing the survey, I would like feedback regarding the desired survey data. For the last year, I have been working as the project manager, of a new traveling exhibition and have learned many lessons and would like to share some of my experiences in, "how to create a traveling exhibition". The "Alcatraz: Life on the Rock" traveling exhibition opened at Ellis Island October 1st and was featured in the New York Times. The National Park Services's, Harper's Ferry Center has created the "Exhibit Planner Template". A freely distributable template that runs on Filemaker for Mac or PC and "helps exhibit teams manage content elements and keep track of project goals, quality factors, and project requirements related to content." 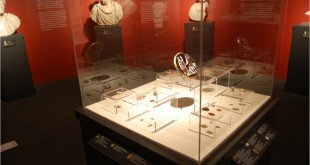 As a follow up to "How much do museum exhibitions cost?" , I have created a five (5) question survey. The results will be posted here on Museum Planner.